This BTW stereo zoom microscope represents the latest in educational, laboratory and research technology. Like the Moticam X, this WiFi digital tablet transmits live images to iOS or Android devices. 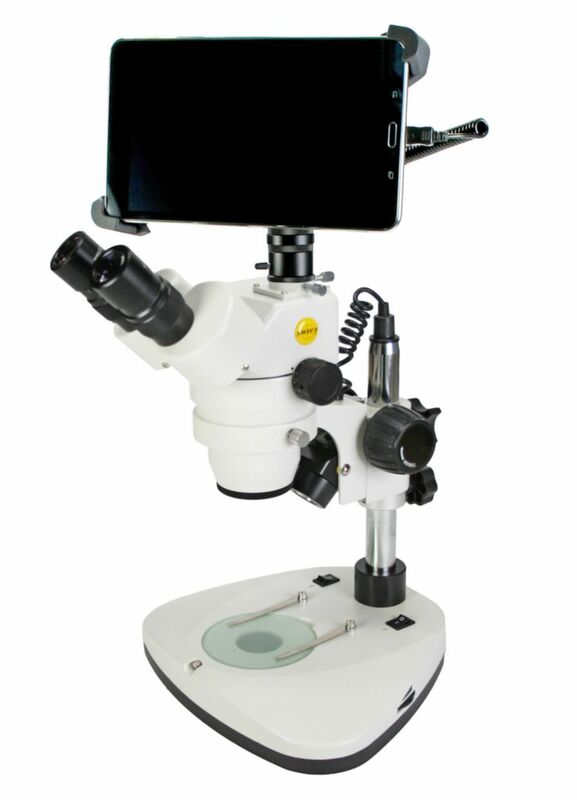 The unique digital tablet design features high speed, full resolution technology built into one of Swift’s newest stereo microscopes. Use it as a conventional stereo microscope or share live images with your students or colleagues using WiFi tablets, WiFi enabled laptops and HD-ready LCD monitors or projectors through HDMI. Android –based tablet includes pre-loaded Motic apps.